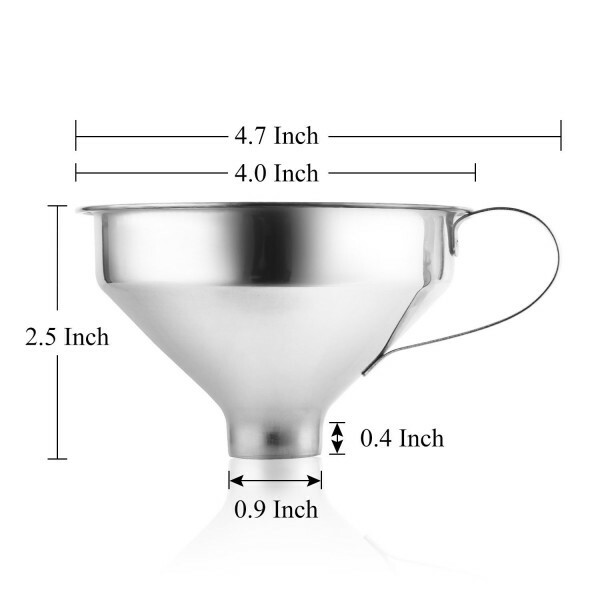 After Aozita's investigation and research, we designed the SPICE FUNNEL with bottom dimater of 0.9 inch, which catering to most of spice jars in the market. Never too big or too small. 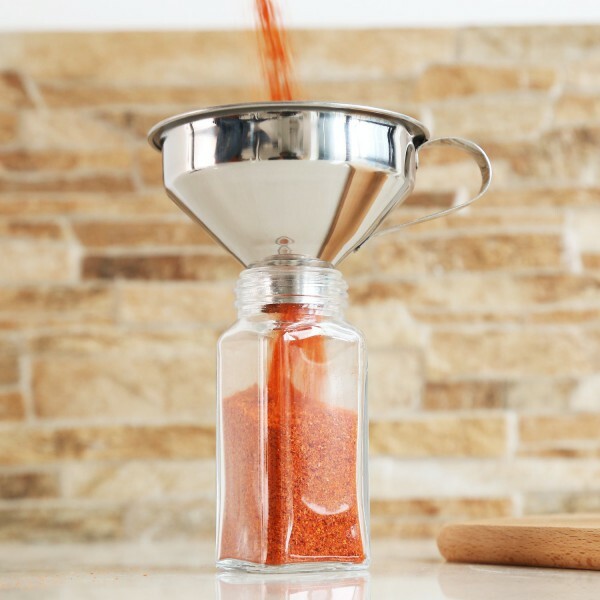 Compared with the common welded funnels, we use seamless welded technology keeping from spice blocking. 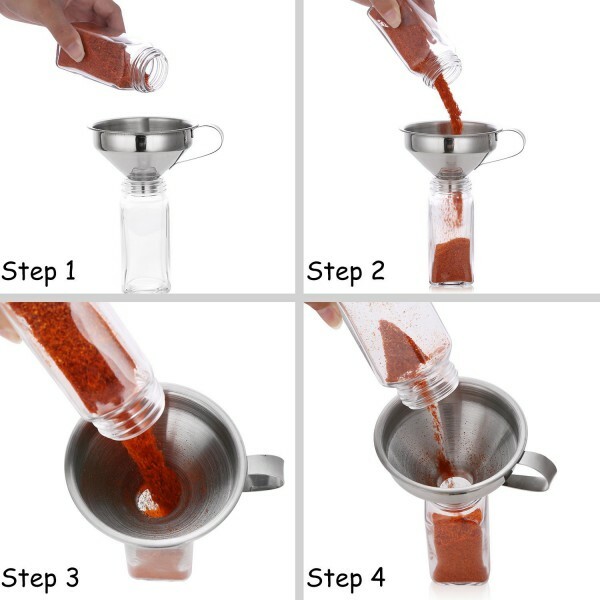 Spice pouring becomes smoother and relaxed. Durable Stainess Steel. 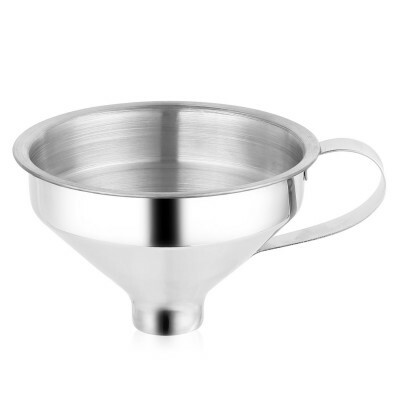 It's made of high quality 18/8 stainless steel to ensure safety and durability. 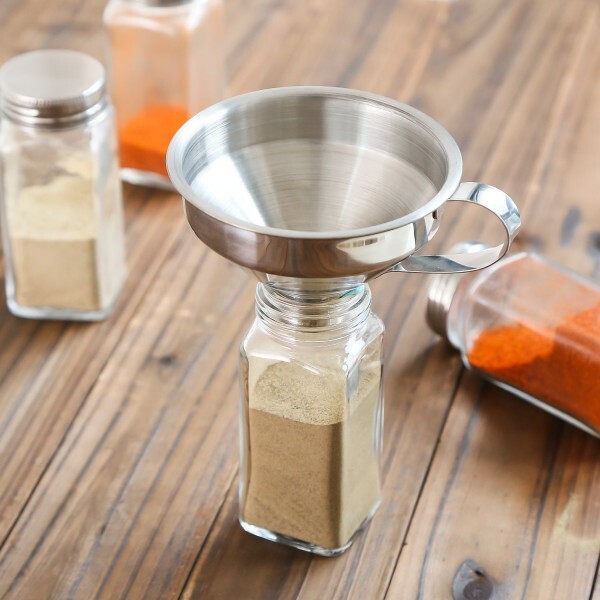 Much better than plastic funnel which take on the color and odor of some ingredients. Handle Design & Easy to Store. 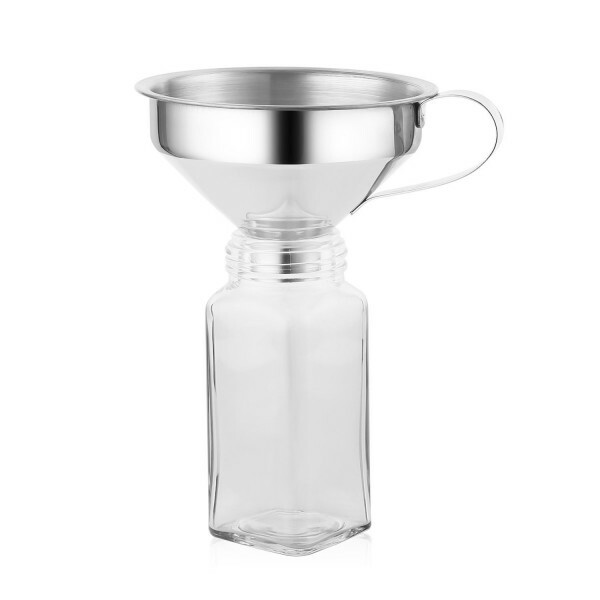 The side ergonomic handle helps conveniently hold the funnel. And it nests to save space, the handle for hanging in your kitchen cabinets. Lightweight and Dishwasher Safe. It is easy to clean up after use, just put it into dishwasher or simply wash with fresh water.